Free Delivery By Easter! 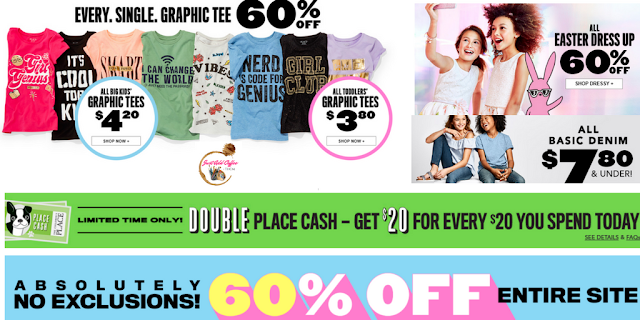 60% OFF SITEWIDE ~ The Children's Place! Hurry on over to The Children's Place website. You can score some hot deals just in time for Easter! You can score 60% off on the entire website. Big kid graphic tees are only $4.20. Toddler graphic tees at only $3.80. Click here to check out the selection.